John Cena announced that Dwayne “The Rock” Johnson would accept two awards: Favorite Movie and Favorite TV Actor. Johnson thanked his fans while stating that, as much as he wanted to go, he could not attend because he was shooting on set. First, The Rock gave an acceptance speech for Jumanji: Welcome to the Jungle after it was named Favorite Movie at the Kids Choice Awards. “And guys, we wanted to make a movie that was awesome, that was great for the entire family but we also wanted to make a movie that you, the kids love… ’cause you kids are brave, you’re cool, you’re awesome,” The Rock said. Dwayne “The Rock” Johnson thanked his fans again while accepting the second award for Favorite Actor. The Rock also congratulated the other actors who were also nominated including Ben Affleck, Chris Pratt, Chris Hemsworth, and Kevin Hart. He joked that Kevin Hart will receive a miniature blimp for Smallest Person in the World. 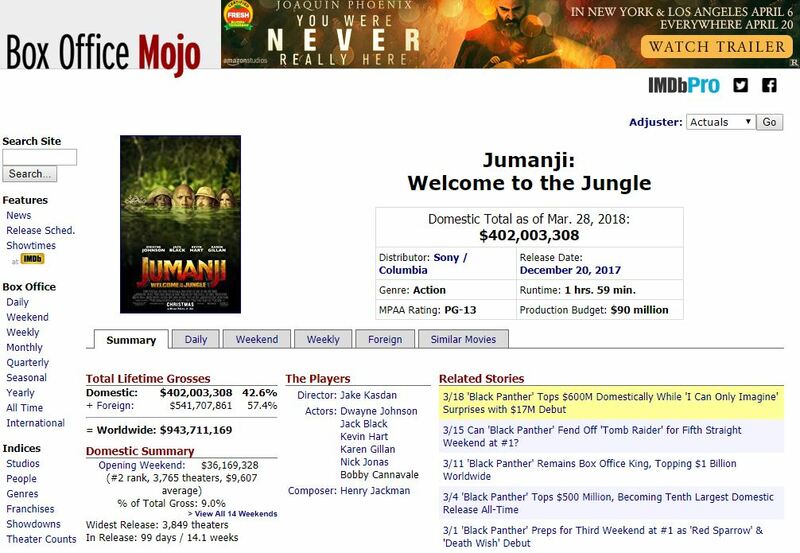 As of March 29, Jumanji: Welcome to the Jungle earned $943.7M worldwide. This movie earned $402M in domestic box offices and $541.7M in all other countries. This film is approaching the $1 billion mark. Jumanji: Welcome to the Jungle is available to rent and buy on Blu-ray and DVD.